When someone sustains a severe injury or contracts a long-term illness that makes them unable to work for an extended period, they may be eligible to receive Social Security Disability (SSD) or Supplemental Security Income (SSI). Individuals that are disabled or retired may also be able to receive SSD in addition to their retirement pension. Both SSD and SSI are covered under the Social Security Act. Those that need SSD or SSI benefits must apply for them. The process can be long and arduous, and there are common questions individuals often have. 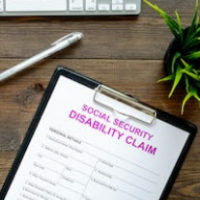 While some of the answers can be found below, it is advised that anyone wishing to seek SSD or SSI benefits speak to a social security disability lawyer that can guide them through the entire process. SSD benefits are available only to those that have an injury or illness so severe that it prevents them from working for an extended period of time. While an examiner from the Social Security Administration (SSA) can help determine the extent of an illness or injury, there are some health issues that are often thought to be eligible for SSD or SSI. While this is a lengthy list, there may certainly be other conditions or injuries that prevent a person from working. It is advised that anyone unable to work speak to a social security disability lawyer that can advise them on whether or not they may be eligible. Just as adults can qualify for SSI, so too, can children. However, the process is more extensive and can be more complicated. When a child has a condition that will prevent them from working in the future, they may be eligible for SSI benefits. These conditions can include the same qualifying conditions for adults, or they can include conditions specific to children, such as low birth weight and failure to thrive. In order to receive benefits for a child, certain parental income limits must be met. In addition, the parents of the child must complete a Child Disability Report. This, as well as other forms that need to be completed for children applying for SSI, can be lengthy and complicated. If they are not filled out completely and accurately, benefits may be denied. It’s also for this reason that anyone wishing to apply for SSI benefits on behalf of their child speak to an SSI attorney that can help. Over half of the applications the SSA receives are denied the first time. It is certainly not uncommon, although it can certainly be discouraging to those applying for benefits they desperately need. When an SSD application is denied, the individual will receive a letter from the SSA. This letter is to inform the individual of their right to request a hearing in front of a judge. Anyone wishing to file the appeal is encouraged to contact a lawyer at this point. During that hearing a judge will review letters from healthcare professionals detailing the nature of the illness or injury, and any other documents that may support an individual’s claim. While this hearing is fairly straightforward, it will still occur in a courtroom in front of a judge. As such, there are certain procedures that must be followed. Anyone attending an SSD hearing should speak to a social security lawyer that can represent them in court and help them throughout all the proceedings. If you have been injured or have contracted a serious illness, you may be eligible for Social Security Disability benefits or Supplemental Security Income. However, applying for these benefits can take a long time and cause frustration, particularly for those denied after their first application. A social security attorney in Scranton can help. An attorney can help individuals ensure the necessary forms are completed fully and accurately, and can represent them in court, if needed. If you want to apply for benefits, or you’ve been denied and want to take the case to court, contact Haggerty, Hinton & Cosgrove, LLP at 570-344-9845. We have the experience necessary to give individuals the best chance at receiving their necessary benefits, and we’ll put that experience to work for you. Call us today so we can start reviewing your case.